Acred is a B2B commercial real estate data platform that solves Asia's problem which is, there isn't one. To collect property information, Acred rewards agent who share data/listings with ACRE token. Mined tokens can be used to run ads and pay for premium subscription. 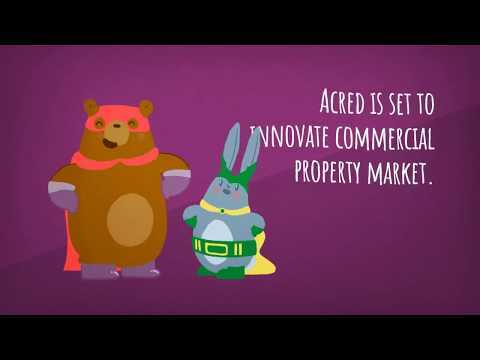 Acred is a B2B commercial real estate blockchain MLS that incentivizes information sharing. Property data is collected, as agents upload their listings to mine Acre tokens. Data fragmentation and asymmetric distribution has long been the pain point for the market. One needs to convert widely scattered offline information to online in order to solve this problem. Acred is bringing sharing economy and blockchain to the table to address the issue. Collected data is organized and served to attract buyer/tenant, in order to complete commercial property platform and monetize Asia Pacific's annual transaction volume of 130B USD. Acred is a business application built on EOS blockchain which targets agent, buyer, seller, landlord, tenant in CRE industry. The business model is already drawing attention from Korean market. CRE service firm NAI Korea has partnered with Acred and co-invested the project.